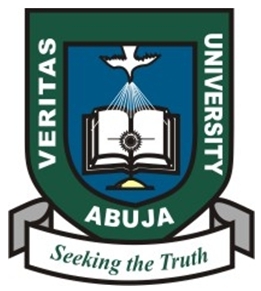 Veritas University, Abuja also known as "The Catholic University of Nigeria are inviting applications qualified candidate that sat for the 2017 Jamb Examination for admission to degree programme on a full-time basis in the Colleges and Departments of the University for the 2017/2018 Academic Session. For B.A. English and Literary Studies, a credit in Literature-in-English is required. For B.A. History and International Relations, a credit in History or Government is required. For B.Sc. Accounting, a credit in Mathematics is required. For B.Sc. Economics, a credit in Mathematics is required. For B.Sc. Marketing and Advertising, a credit in Mathematics is required. For B.Sc. Political Science and Diplomacy, a pass in Mathematics is acceptable. For B.Sc. Applied Microbiology, a credit in Mathematics, Chemistry and Biology is required. For B.Sc. Industrial Chemistry, a credit in Chemistry and two of Physics, Biology and Mathematics is required. For B.Sc. Physics with Electronics, a credit in Physics, Mathematics and Chemistry or Biology is required. NB: Your admission to the University is subject to your having genuine academic qualifications in the prescribed subjects above. This will be checked and certified during registration. Failure to comply with this provision will automatically nullify your admission. How to Apply for Veritas University. Get started on your journey to academic and career success! Simply complete our Online admission application form or call Veritas University today at 07088839258, 09027627042, 08123446663, 09023896285, and an admissions representative will gladly help you choose the degree program right for you and begin the college admission process. Application forms can be downloaded here or visit any education secretary of any Catholic Diocese nearest to you. All interested Candidates must complete the Veritas University, Abuja on-line application form. Candidates who obtained the manual form and paid directly to the bank are to scan and send their forms and bank tellers to admissions@veritas.edu.ng. For further information call : 08064758374, 08081655628 or 07088839258 or 08123043223 or send email to admissions@veritas.edu.ng.